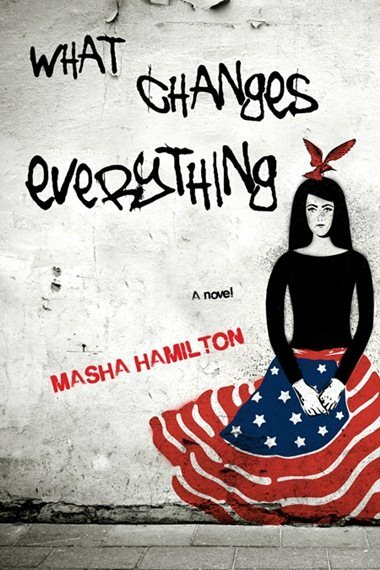 What Changes Everything combines two main stories: one is the present-day kidnapping of Todd Barbery, an American aid worker in Kabul, Afghanistan. The other is the true story of Mohammad Najibullah, the president of Afghanistan during the Communist era, who was imprisoned by the Taliban in 1996. Todd Barbery is a good guy. His work with refugees in Kabul forges connections and makes things better. He loves his job and tries to stay safe until he makes one small error and is kidnapped. His wife, Clarissa, wants to honor Todd’s love of the Afghan people but she also needs to find a way to bring him home. She wants to trust Todd’s Afghani assistant, his boss, and the FBI agent assigned to Todd’s case but all have conflicting views on the best way to get Todd out safely. Meanwhile Clarissa meets Danil, a graffiti artist who lost his brother to the war in Kabul, and they forge a bond that others find suspect. Toss in Mandy, a Texas nurse, who arrives in Kabul looking for clues to the “country that had chewed up her son and then spit him back.” Hamilton’s “minor” characters grace this novel with a power and depth rarely encountered in fast-paced fiction of this type. Interspersed with the gripping modern-day story is a portrait of former President Najibullah that documents his capture and long captivity through a series of imagined letters to his daughters. These letters bring the facts of the rising power of the Taliban to life in a way that any recounting of recent history could never manage. What sets this novel apart from every other novel set in Afghanistan is Hamilton’s inside knowledge of Kabul. She’s the Director of Communications and Public Diplomacy at the US Embassy in Kabul and was a journalist and news editor with the Associated Press in the Middle East for five years including the period of the first intifada. She also founded the Afghan Women’s Writing Project. Hamilton paints word pictures that enhance the riveting story without interrupting its flow. Her homage to the book’s title: “war poisons the air half a world away and then travels on the wind to slip into your peaceful lungs, changing everything” slipped into me and will forever influence my thinking. Summing it Up: What Changes Everything is a powerful missive about the way we’re interconnected and how things half a world away can “slip into your peaceful lungs, changing everything.” Novels that keep readers up at night flipping pages to find out what happened are rarely peopled with such strong and memorable characters and such affecting language. This is one soars as it educates the reader. Who could ask for more?